The Fit in Fashion Lounge Tailored by amNEWYORK was held all throughout New York Fashion Week, at The Empire Hotel storefront. I met with some great brands as they introduced their products. CeCe Toppings offers a collection of stay-put collars without worrying about the fit of a shirt or bulkiness when layering over it. I'm constantly worrying about the fit at the shoulders or how long the arms and there are definitely no worries if you're wearing one of Jamie Turquie's creations. Since I do love tie-neck blouses, the Ruffled Collars collection is my favorite, including stripes, polka dots, checks and plaids ($39-$44). 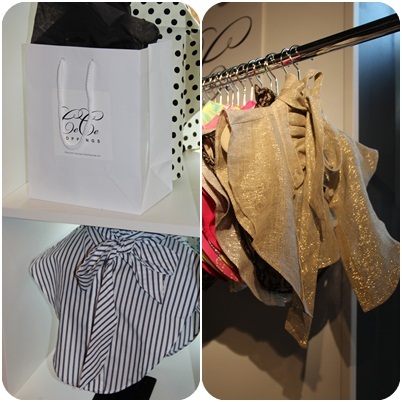 I also love the lace ruffle ($85) and gold ruffle ($85) collars from the CeCe Collection. Chaise23 was demonstrating how to use the Reinvention Chair to get your cardio workout, while improving your flexibility and balance (bottom left). Then I met Youareonthelist.com Founder and CEO, Robin Ross (bottom right). Youareonthelist.com is a members-only site with access to exclusive events. Slap Watch has interchangeable faces to mix and match, and even comes in smaller, SLAP Jr., for people like me who have petite wrists. eyeSlices are innovative eye treatment pads, with key ingredient Aloe Ferrox. All you do is place the soothing and cooling eye gels over your closed eyes for 5 minutes to quickly rejuvenate tired, puffy eyes and reduce red eyes and dark circles. The eye slices can be re-used up to 10 times. Clean Plates is a guide to healthy, sustainable and delicious food & dining in Manhattan, Brooklyn and Los Angeles. Sobe Seamles Tape Hair Extensions introduced quick and easy no heat tape applications in a variety of colors. Sobe hair extensions have the highest quality triple AAA grade Indo-European Temple hair in a variety of textures including beach waves, French wave, brazilian and yaki. 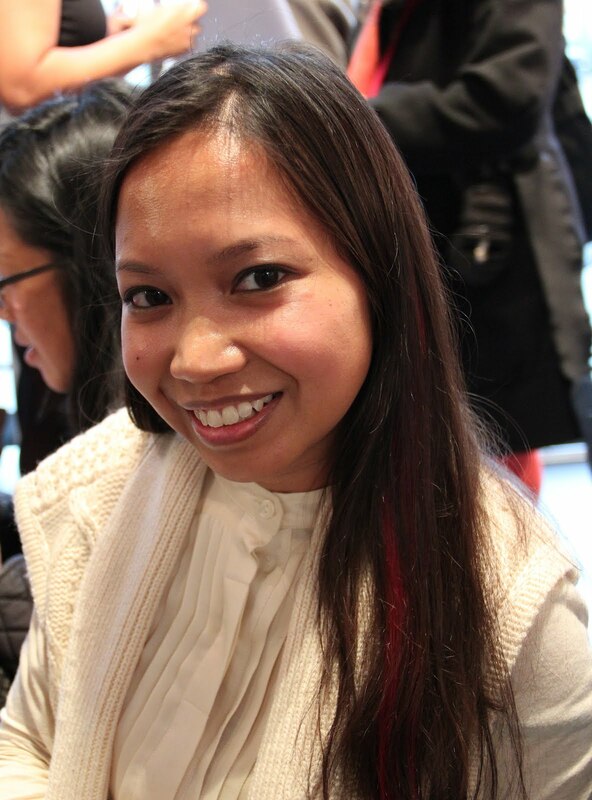 I had them apply a red tape extension to my hair, which blended in naturally. I loved it - I can totally get used to these tape hair extensions!